The FretDeck can help guitarists to think quickly and more efficiently. There are many different ways to use the FretDeck. Today we are going to talk about how to transpose with the FretDeck. Transposing is the process in which, you take the chords or melody of a song and change the current key to a higher or lower key. Guitarists will transpose a song to assist a singers vocal range. Some singers will sing better in different keys,depending on their range. Let’s pretend that you are playing a song in the key of B flat and you wanted to change keys to the key of F Major. Using the FretDeck, you can easily compare both keys and select the chords and notes that you want to change. You can create a melody in the key of G major and transpose it to the key of C major. Transposing in a sense, is very simple. You basically switch keys,that’s it! The FretDeck helps clarify the circle of fifths. Rather than just seeing the circle of fifths as a circle with letters, the FretDeck goes deeper in understanding how the circle of fifths actually works. 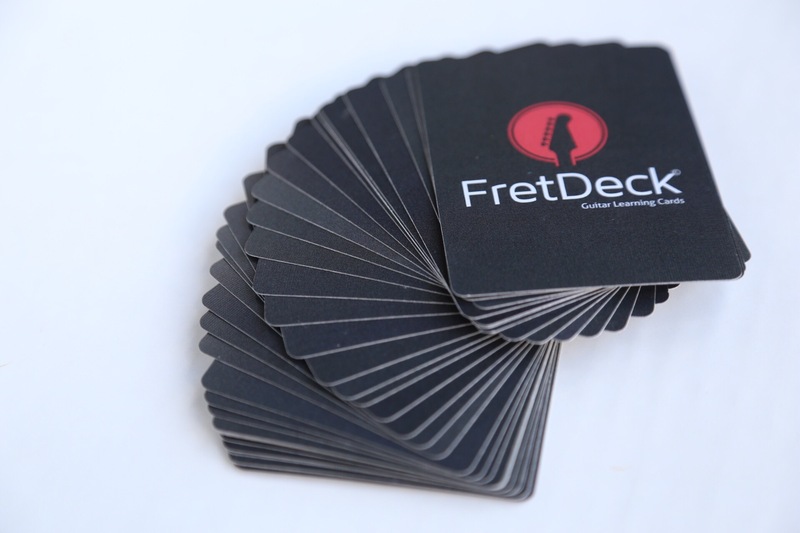 The more you practice with the FretDeck, the more you will understand essential music theory concepts. The end game to all of this, is to become a better guitarist. The FretDeck will help achieve this goal. I believe that those that use and practice with this learning system will develop a strong desire to become a better guitarist. These cards will help many students understand how to connect the dots and apply what they learn to the guitar. Understanding keys and how each key functions is critical for every guitarist. Music theory enhances the musicians ability to create music.